We loved learning embroidery from Rebecca Ringquist-- and now you can, too! 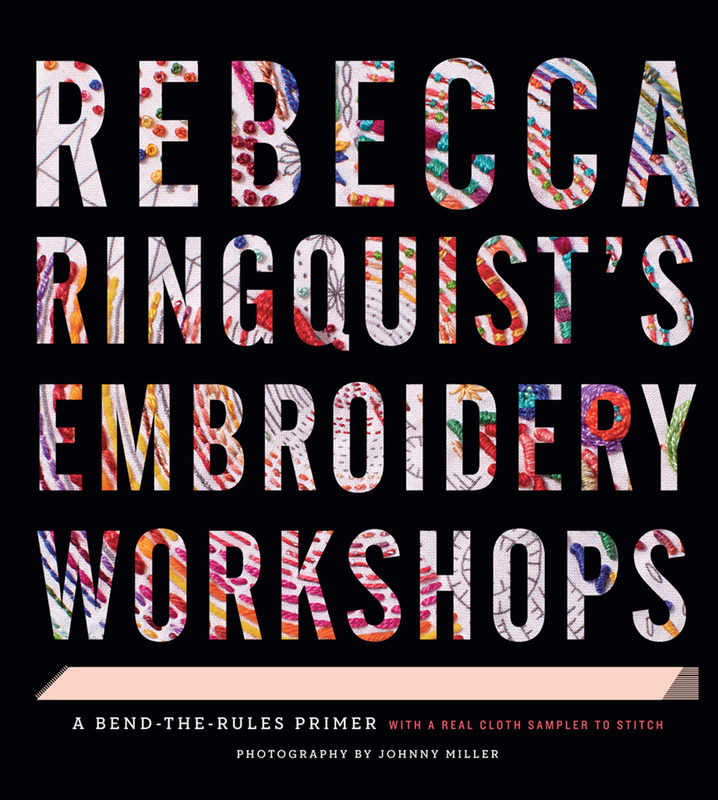 Earlier this spring, we were lucky to have Rebecca Ringquist come in the Abrams office and teach us some skills from her latest book, Rebecca Ringquist's Embroidery Workshops. Scroll through to see the team in action! Jumpstart Creativity This Spring with Natalie Golderg's Living Color— Available Today! 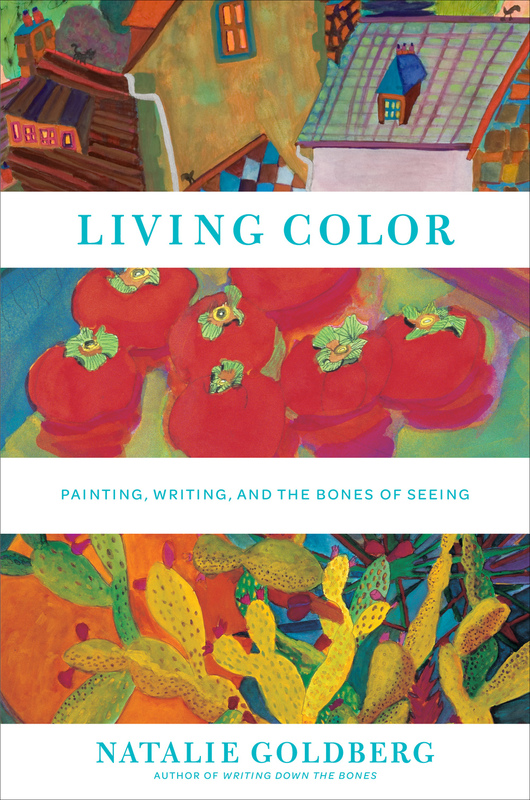 With the days getting longer and temperatures warming up ever so slightly, we're so excited to welcome our first book of the spring season: Natalie Goldberg's Living Color: Painting, Writing, and the Bones of Seeing. Warm, saturated hues adorn the pages of Goldberg's memoir, interspersed with essays on creativity, writing, and living with passion and purpose. Also included are 22 exercises focusing on expanding your creativity, with the hope "to jostle your mind out of the ordinary, out of logic, and maybe after a moment of shock, snap you into feeling and creating from a non-rational place, where things are interconnected on a whole different level." Read a Chapter Excerpt. Click on the image below to enlarge the spread. View More. Shake off the doldrums with this inspiring guide—updated and expanded with a new chapter, new creativity exercises, and additional paintings. View more images from Living Color in our gallery. Catch Natalie on Tour! Beginning later this month, Natalie will sign books and speak at book tour stops across the country. More info on her site. Win a Copy. Check out the book on Goodreads and enter for a chance to win a copy! Get Your Crafting in Gear in the New Year with a Creativebug Class Giveaway! The new year is right around the corner and here at STC Craft we are already looking forward to the excitement that 2014 will bring. Along with personal resolutions, the thrill of opening up crisp new calendars and planners, and the promise of a fresh start, we'd like to extend an exciting offer to you and a friend. If learning something new is on your to-do list for the new year, we'd love to help! From now until the end of the month, we're offering one lucky reader a chance to win two free 3-month subscriptions to Creativebug classes—one for you, and one for a friend. 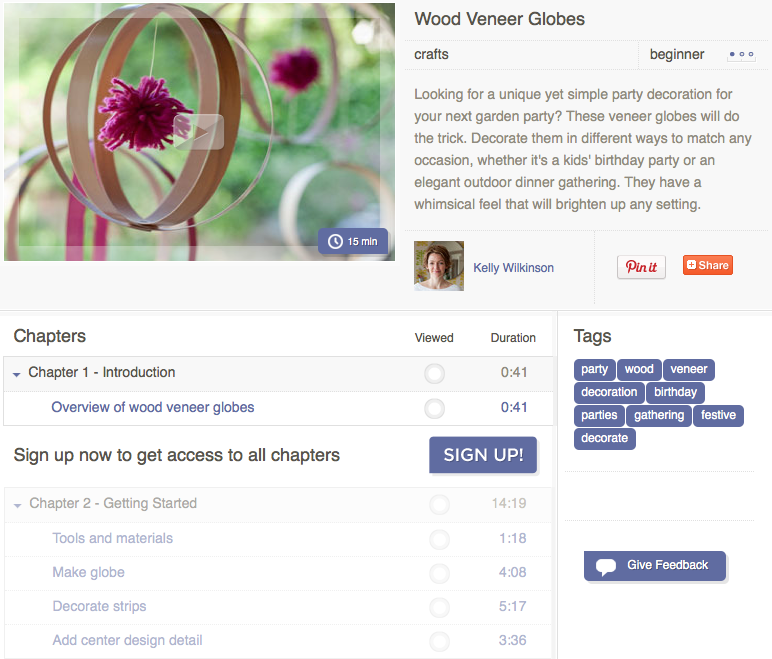 Launched last year, Creativebug is an innovative online learning site offering creative classes on subjects ranging from embroidery to bookbinding to wire jewelry-making, with options for well-seasoned and beginner crafters alike. Their all-star roster of instructors includes STC Craft favorites Natalie Chanin, Liesl Gibson, Heather Ross, and Kelly Wilkinson as well as our own Melanie Falick. Enter by joining our newsletter in the form below by December 31st at 11:59 p.m. EST. One winner will be chosen at random. Current newsletter subscribers are invited to enter as well (and please feel free to follow us on twitter and facebook, too!). Enter below for your chance to win. Click here for official rules. To find out more about this offer, and to learn more about Creativebug, visit their site and blog. The first time I saw super-talented illustrator Sun Young Park's work in Gertie's New Book for Better Sewing, I thought "I need to wallpaper my office in these illustrations." And now, I can—and so can you! Sun is now offering prints of some of her favorite illustrations from the book in her new Etsy shop, and STC Craft blog readers are in for a treat—a Gertie giveaway! To enter to win a copy of the book along with an 8 x 10" print of the illustration above, leave a comment below telling us about a vintage or vintage-inspired piece you love by November 1 at 1 PM EST. One winner will be chosen at random. See more of Sun's beautiful work on her website, and make sure to take advantage of free shipping from her shop exclusively for our readers through the end of October with offer code "STCCRAFT." Cozy Up and Craft with a Creativebug Giveaway! UPDATE: We have a winner! Congratulations to Tina R.! We here at STC Craft are often struck by the impulse to start a new project in the wee hours of the morning, but that thrill quickly tempers with the realization that surprisingly few instructors offer classes at midnight. 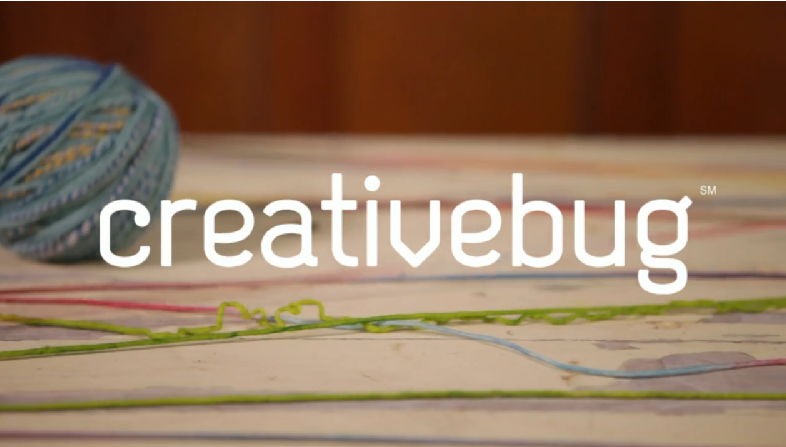 Enter Creativebug, an innovative online learning site launched just a few months ago. If you, like us, are the type of people who want to learn embroidery techniques right this moment but don’t feel like leaving the comfort of your cozy knitted slippers, then Creativebug’s all-star roster of instructors—STC Craft favorites Natalie Chanin, Liesl Gibson, Heather Ross, and Kelly Wilkinson among them—are at the ready with project ideas, guidance, and creative inspiration via their video workshops. Whether you’re in the market to enhance your sewing know-how by learning to make your own patterns, or have a hankering to dip your toes into something new like bookbinding or screenprinting, Creativebug offers options for well-seasoned and beginner crafters alike. Only have a quick half hour to spend on creative pursuits? Many instructors post projects that can be completed in an afternoon or weekend, and each workshop is broken down into manageable segments, making it easy to stop part-way through. When you’re ready to sneak away for another round of creating, your workshop picks up right where you left off. Once you become a member, you have unlimited access to as many video workshops as you can consume, a steal at $25 a month (even less if you sign up for 3 or 6 months at a time). Creativebug also believes in giving back: a percentage of each monthly subscription goes to non-profit art programs across the country to provide affordable space, supplies, and education for future legions of would-be crafters. If you’re thinking Sign me up! then good news—we have a three-month Creativebug subscription to give away to one lucky reader! To enter, leave a comment letting us know what new skill YOU would be excited to learn (or hone) from Creativebug’s offerings by August 20th at 1 PM EST. One winner will be chosen at random. To find out more about Creativebug, visit their site and blog. 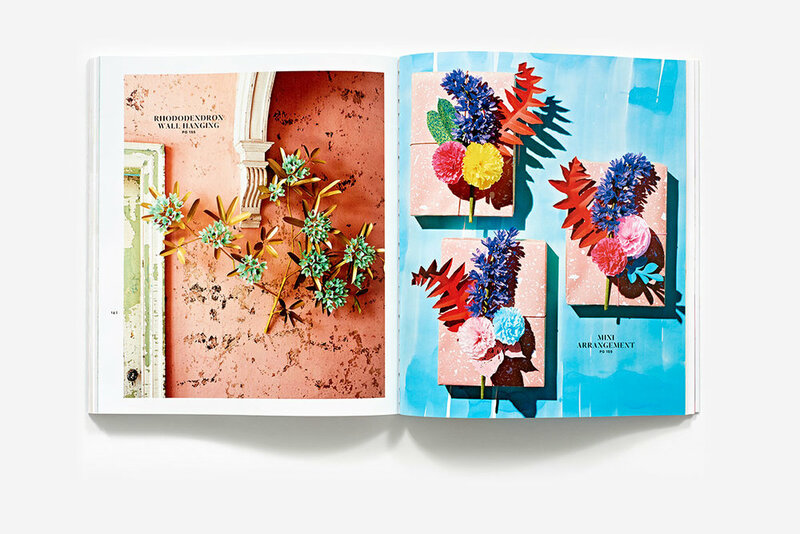 UPPERCASE Magazine is a stunning publication to behold. 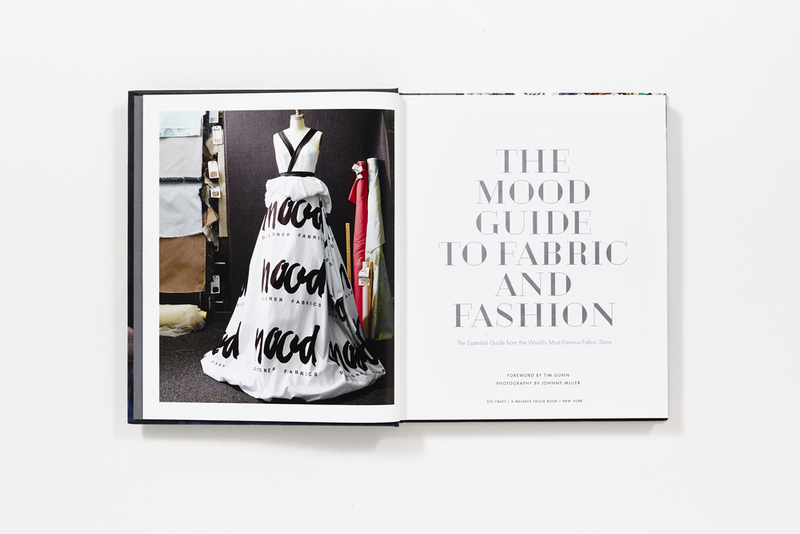 Published for "the creative and curious," UPPERCASE, now in its 13th issue, explores facets of craft, fashion, and design. And it's a bit of an enigma in a world of digital publications. 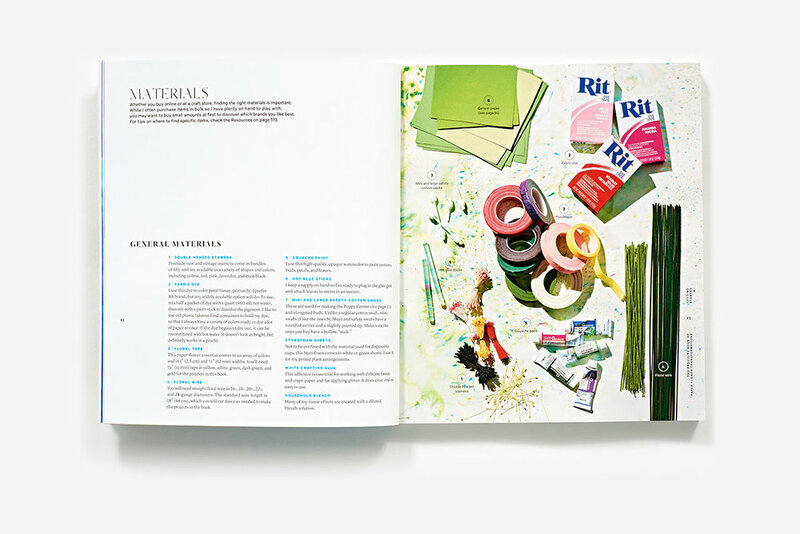 The hefty quarterly publication is printed on lovely stock and is filled with inspiration and visual treats. 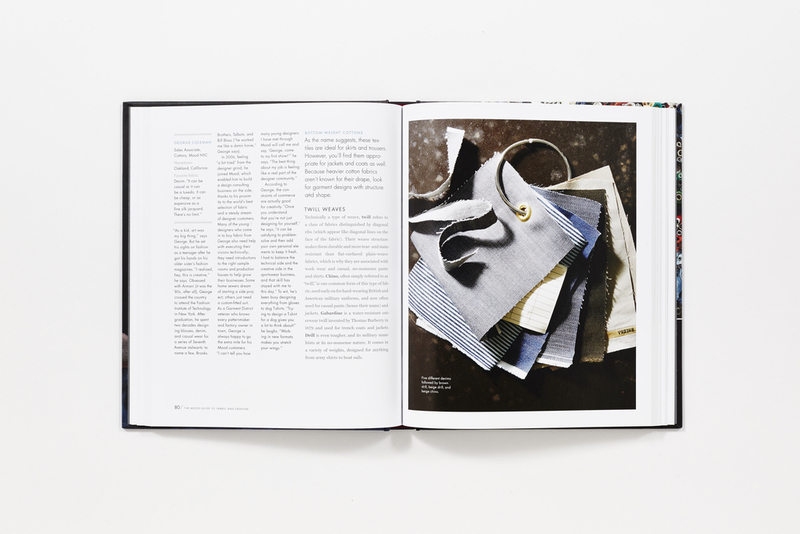 There are very few ads, and the ones included (like STC Craft favorite Purl Soho) are as gorgeous as the magazine itself. 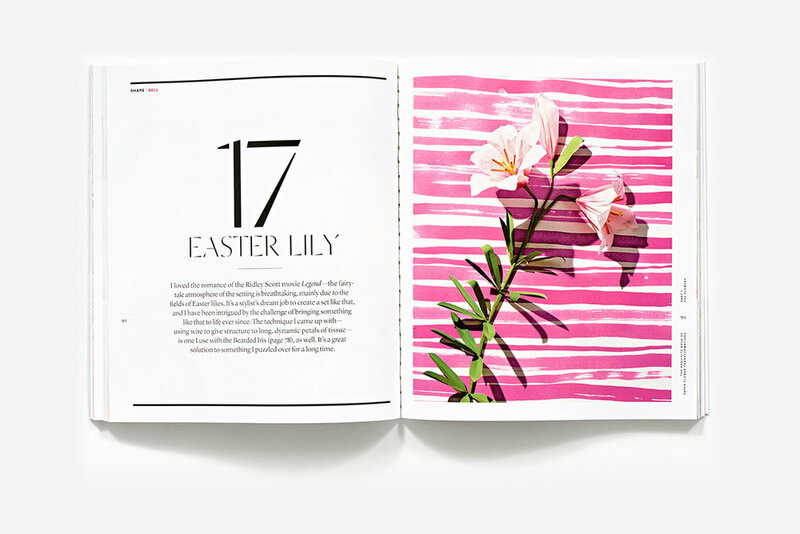 You can find UPPERCASE in bookstores, but also in luxe shops like Anthropologie. 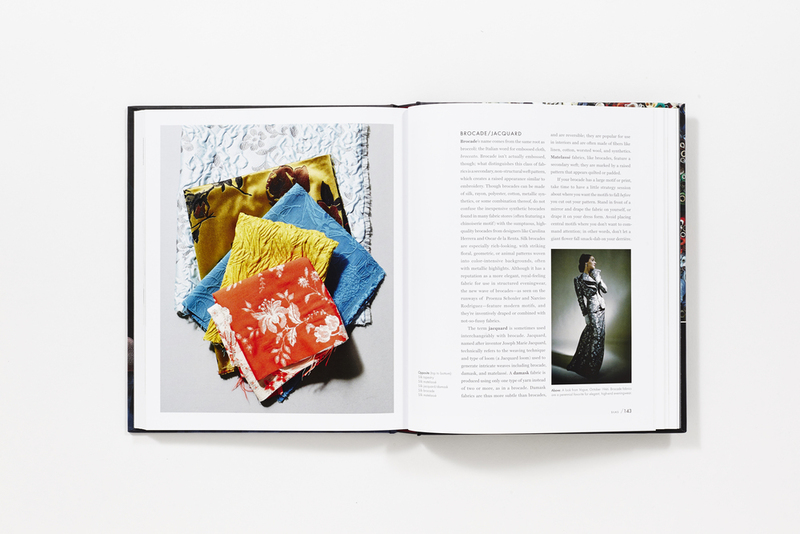 The journal is the vision of Janine Vangool, the publisher, editor, and designer. We're thrilled to have had a chance to ask Janine a few questions about UPPERCASE. STC: How would you describe the philosophy of UPPERCASE? The tagline for UPPERCASE magazine is "for the creative and curious" and this really is the somewhat loose guideline to content appearing in the magazine. Though the content is based in graphic design, illustration, and crafting as its starting points, with such a broad statement the articles can be quite eclectic. I think it is this curious bent that makes the magazine unique and hopefully surprising with each new issue. We like to support the creative endeavours of our readership and therefore much of the written content, photography, and illustration is commissioned from our subscribers, open calls for submissions, and through connections made in our social media circles. I strongly believe that the magazine is a collaborative effort with its readership. STC: How do you come up with a theme for each issue? I categorize and archive all the submissions and suggestions that come my way, as well as favourite blog posts, Flickr images, Etsy shops, tweets... When you're looking at so many things, you start to see common threads and emerging themes. So an issue's themes are a combination of these discoveries and topics of interest to me personally. 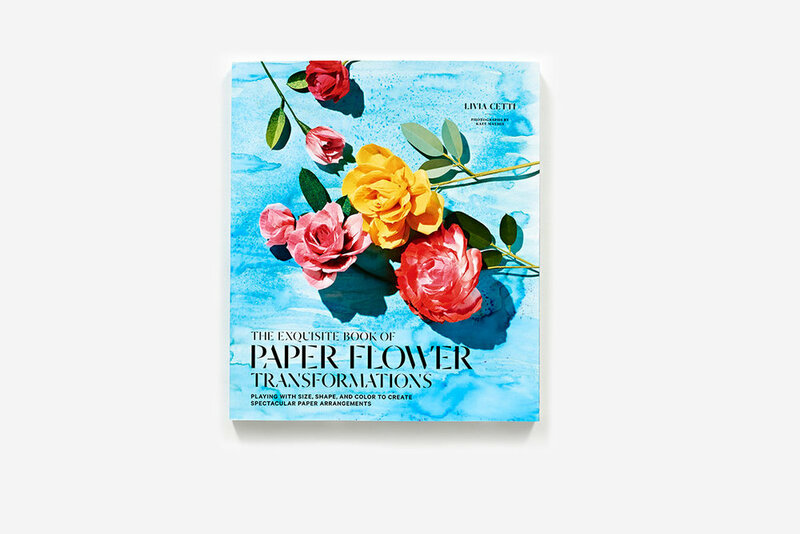 STC: What are the benefits to publishing a paper magazine in a "digital age"? 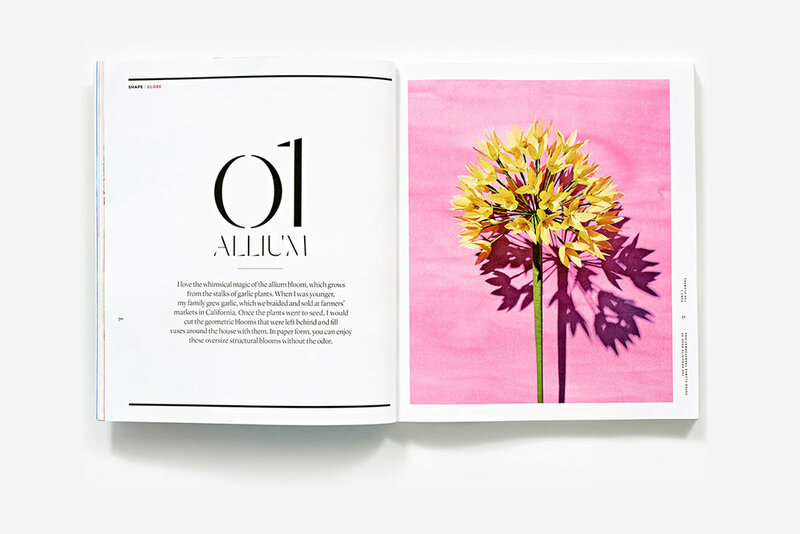 The physical format of UPPERCASE magazine is part of its appeal—it is something that you hold, carry, collect, and keep. I always strive to make each issue an object that is well-crafted and has attention to detail in in its paper stock, special print processes, or formats... these are the things that make print so special. 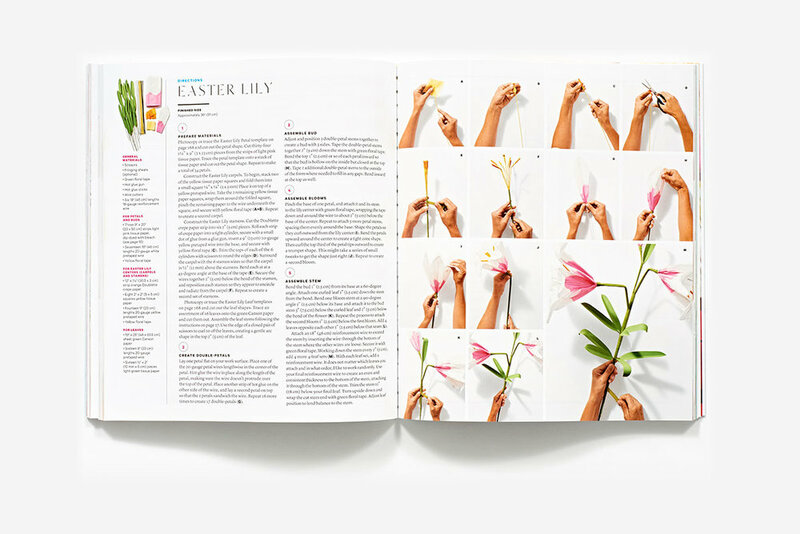 Unlike digital magazines, which I think promote attention deficit, when you're reading a paper magazine you have more commitment and a more intimate experience! 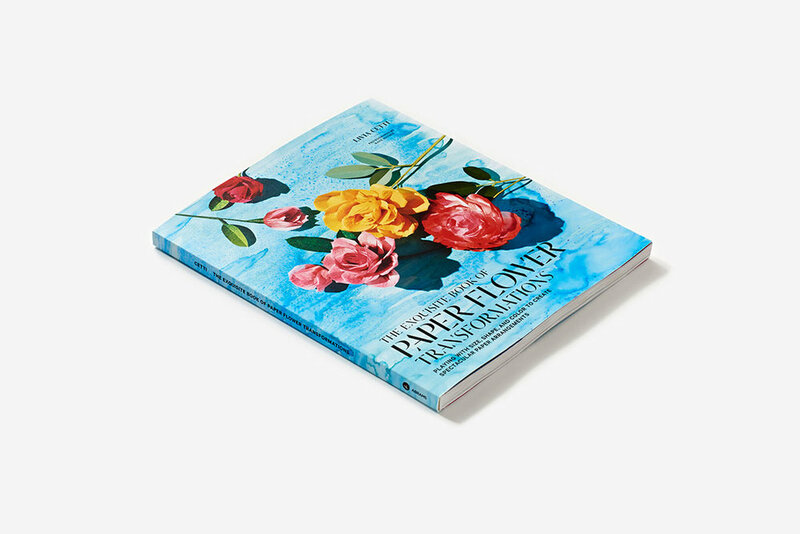 Though the expense to produce a paper magazine is considerable, I think my readership feels the same way I do and are willing to invest in a long-term relationship. Obviously, what UPPERCASE is doing is very much in the line of how we think here at STC Craft! 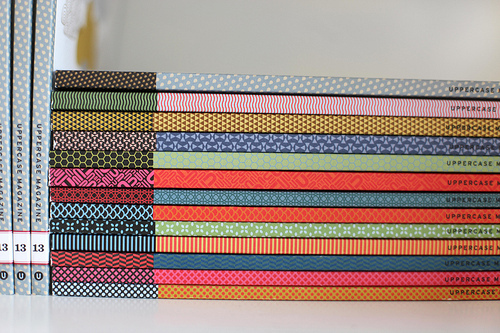 So we're thrilled that Janine generously offered a subscription giveaway to one lucky reader. To enter, just leave a comment here by April 30 at 1PM EST. One lucky winner will be chosen at random. 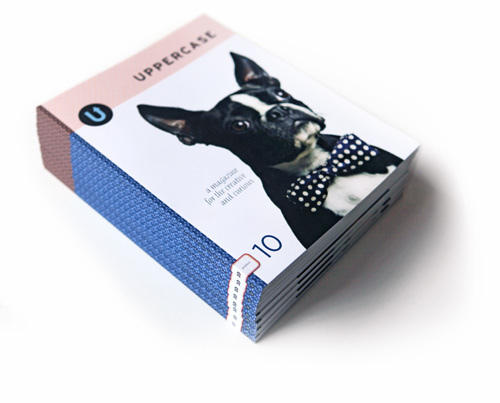 To read more about UPPERCASE, visit their blog and don't forget to subscribe! Click here for full official rules. UPDATE: In the spirit of the holiday season, we've decided to extend the contest through Friday, December 23rd. We'll be picking three lucky winners that day at noon so after you've left a comment, be sure to tell your friends to enter as well! 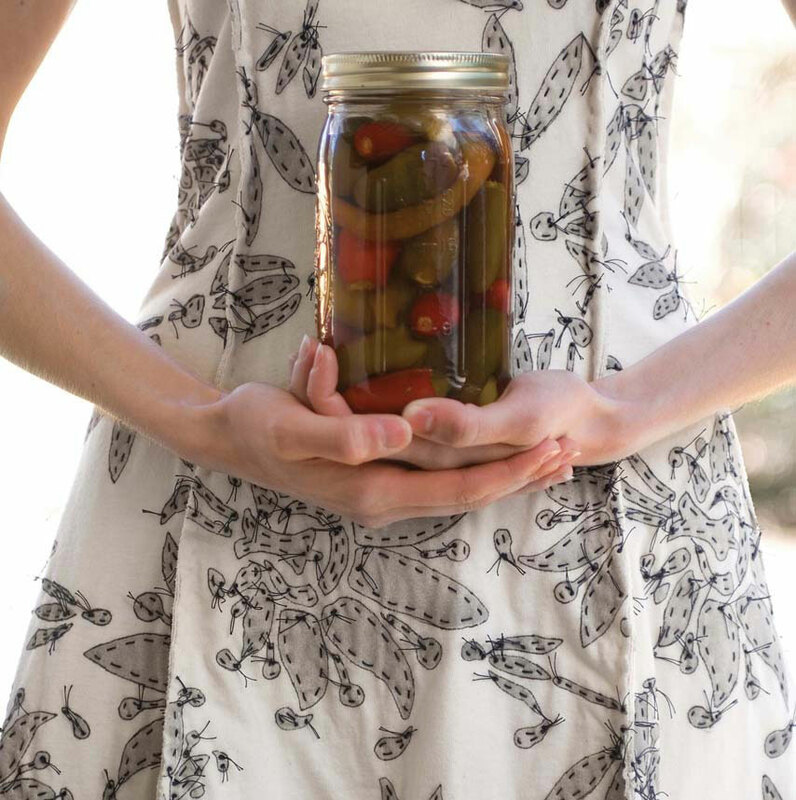 Have you run out of time to make crafts for the crafty people in your life? 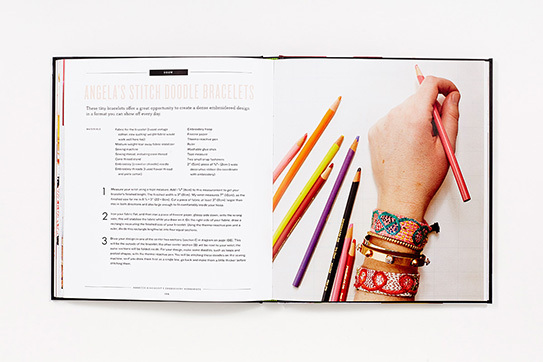 Then keep it simple and treat them to a beautiful craft book. And while you're at it, leave a comment below and you will be automatically entered in our free book giveaway! Just tell us your favorite holiday craft—whether it's ornament-making, cookie baking, or making lavish handmade gifts. The contest closes next Wednesday, December 21, at noon EST. If your name is drawn, you'll win a book of your choice from our online catalog. Maker Faire takes over the New York Hall of Science this weekend and STC Craft will be there! 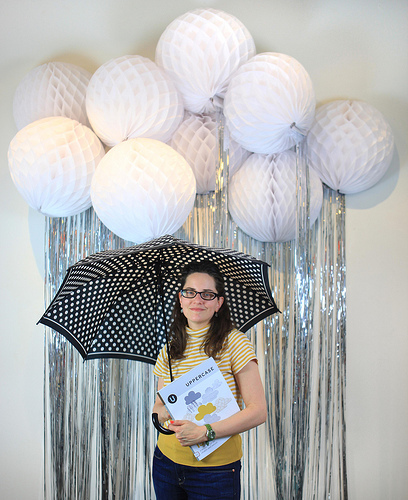 Join us at The BUST DIY Guide to Life Lab, where we'll be crafting up projects from BUST's big new book. What's on the schedule? Two days of exciting demos and DIY projects, plus a book signing with authors Debbie Stoller and Laurie Henzel. Check out the full schedule after the jump. For those of you who won't be at Maker Faire but can't wait to get your hands on the book, follow @STC_Craft and @BUST_magazine on Twitter. We'll be giving away a signed copy to one of our lucky friends online. 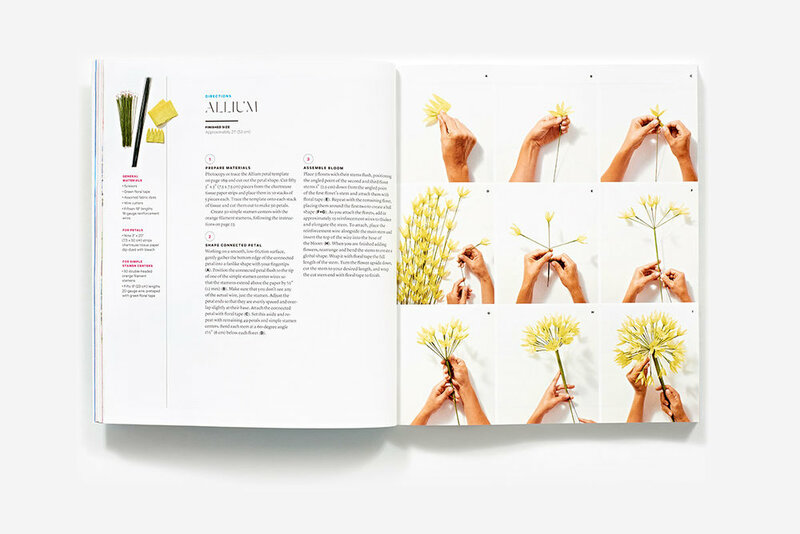 To get the full scoop on the making of The BUST DIY Guide to Life, read editor Liana Allday's behind-the-scenes blog post here. 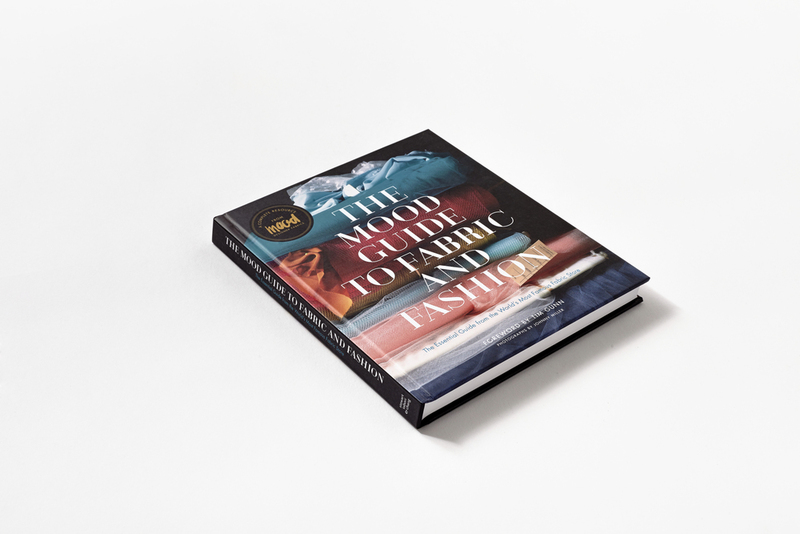 Keep it simple this holiday season and choose a beautiful book for the passionate crafters on your gift list. Between now and December 23rd, take advantage of our special 20% discount on all STC Craft titles when you shop on our website. Plus, we're offering free shipping on orders over $50.00. Just enter handmade2010 at checkout. For knitters who love to start at the top: Kristina McGowan's Modern Top-Down Knitting and Wendy Bernard's Custom Knits. For crafty nesters: Meg Mateo Ilasco's Crafting a Meaningful Home and Berroco Design Team's Comfort Knitting and Crochet: Afghans. For knitters who think they've seen it all: Lynne Barr's Knitting New Scarves and Reversible Knitting. For stitchers who want to make a difference: Betty Christiansen's Knitting for Peace and Katherine Bell's Quilting for Peace. For eco-fashionistas: Alabama Stitch Book and Alabama Studio Style. 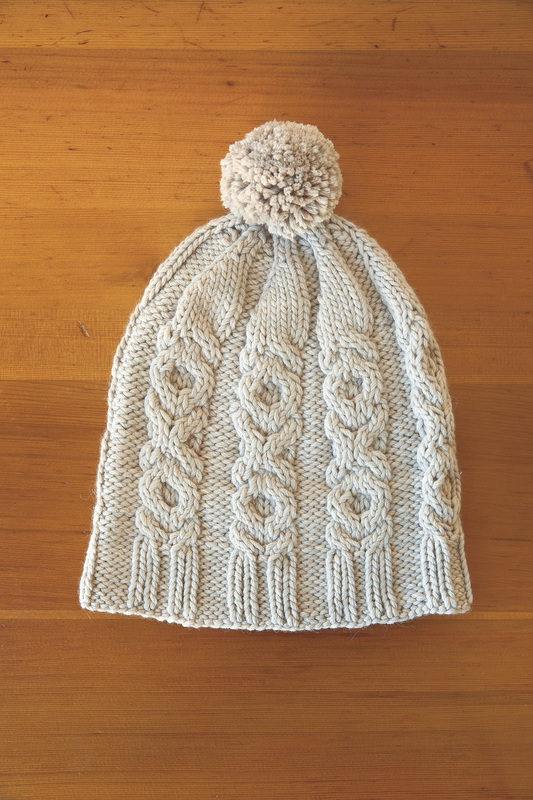 For knitters with a litter of wee ones: Melanie Falick's Knitting for Baby and Kristen Rengren's Vintage Baby Knits. For anyone who loves cute: Hillary Lang's Wee Wonderfuls and Kata Golda's Hand-Stitched Felt. For weekend crafters: Heather Ross's Weekend Sewing and Melanie Falick's Weekend Knitting. 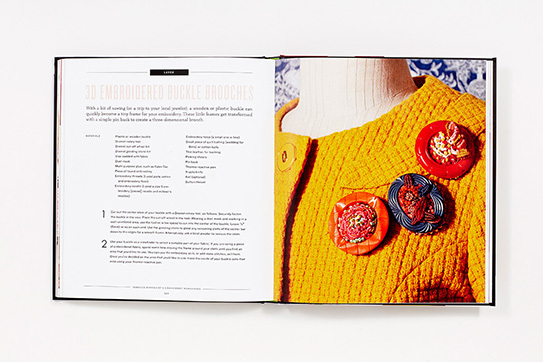 For knitters who are just getting started: Andrea Berman Price's Knitspeak and Melanie Falick's Knit: A Personal Handbook. For knitters who want to burn through their stash: Leigh Radford's One More Skein, Véronik Avery’s Knitting 24/7, and Robin Melanson's Knitting New Mittens & Gloves. For passionate quilters: Sarah Fielke and Kathy Doughty's Material Obsession and Material Obsession 2, and Kaffe Fassett's Simple Shapes Spectacular Quilts. And for procrastinators: Joelle Hoverson's Last-Minute Knitted Gifts, More Last-Minute Knitted Gifts, and Last-Minute Patchwork & Quilted Gifts. For more ideas, click here. And remember to take advantage of our special 20-percent discount--just shop on our website between now and December 23, 2010, and type in handmade2010 at checkout. 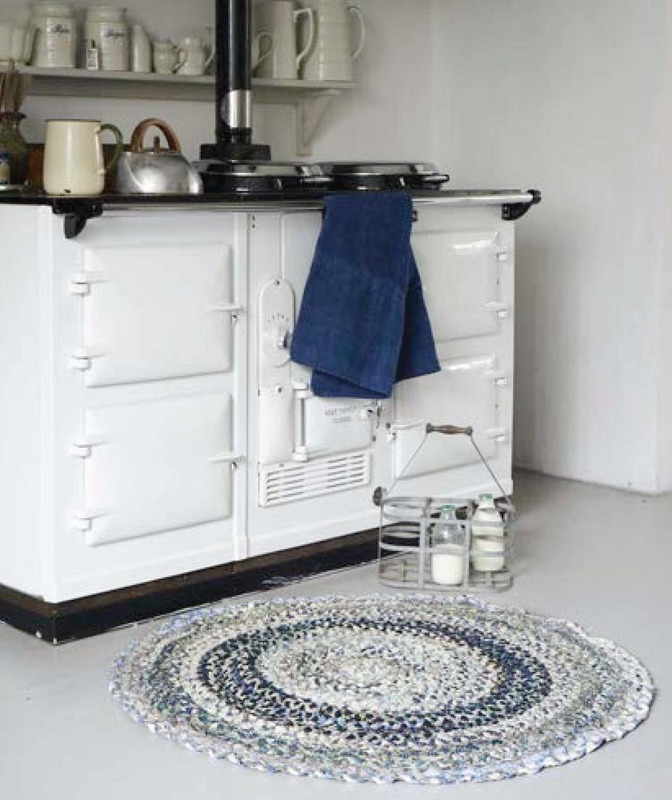 To download any of these free patterns, simply click on the image. As the weather turns from cool to downright chilly, do you find yourself wanting to make handmade gifts for the holidays? We do! As a special gift for our readers, we've put together 14 free patterns that we hope will inspire you to pick up your needles or get out your glue gun and find a few hours to relax and craft. 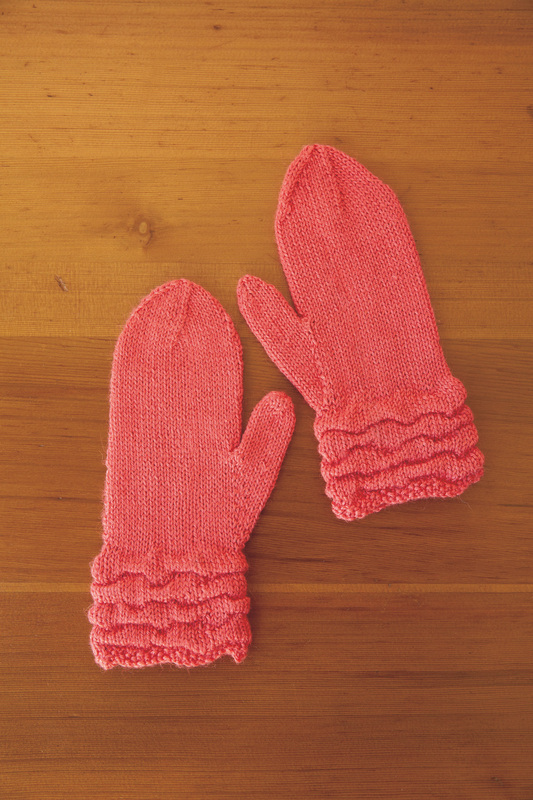 Some of these projects, like the Glasses Case or the Linen-Stitch Bookmarks, can be made in just an hour or two. Others, like the Mermaiden doll or the Mulberry Hat, might take a few more hours, but the end results will be irresistibly satisfying. And if you dream of making a quilt or afghan for a loved one but feel that time is not on your side, why not just work up a swatch or square as an IOU? It will give the recipient something to dream about (or nag you about) in the cold winter months that follow. But wait! We're not done giving yet. Leave a message in the Comments section below telling us about the handmade gifts you're making this year. 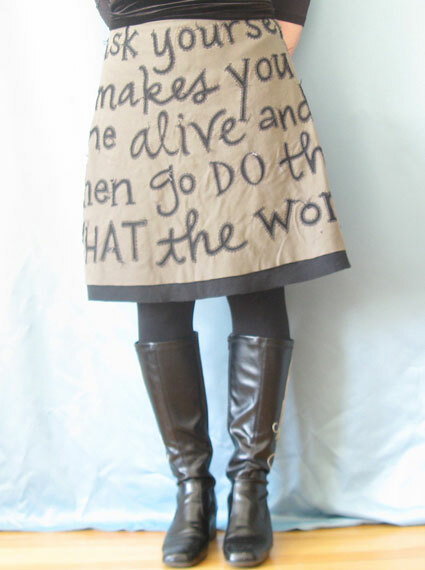 By doing so, you'll be entered to win a book from the STC Craft catalog click (here and here). On December 17, 2010, at noon (EST), we'll choose 3 people at random to receive the STC Craft book of his or her choice. 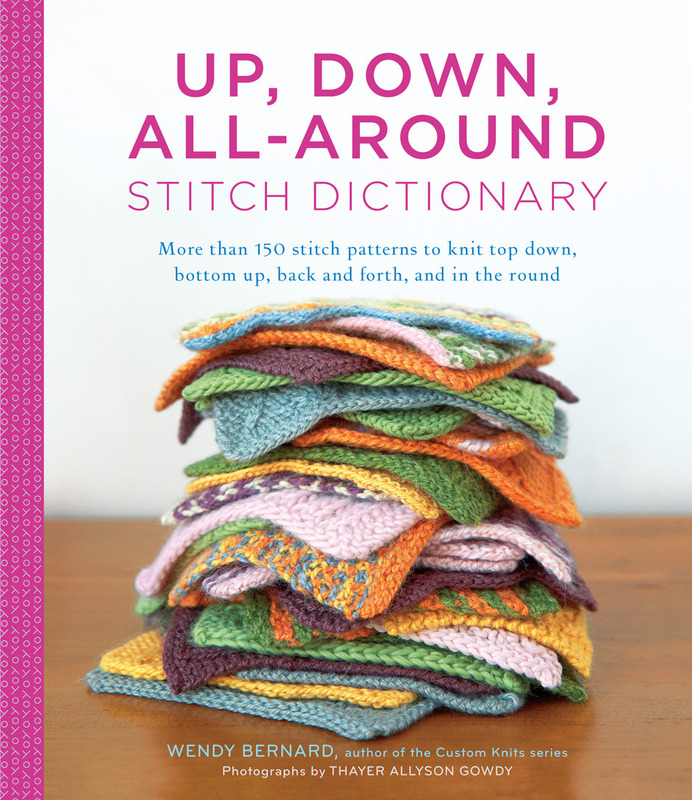 Whether you're a knitter, stitcher, or crafty dabbler, we hope you will find something here that gets you in a gift-giving mood. Simply click on any of the images above to download the instructions. Limit one (1) entry per person; be sure to enter your email address on the comment form. NO PURCHASE NECESSARY TO ENTER OR WIN. Open only to legal residents of the 50 United States and Washington D.C. who are 18 or older as of date of entry. Sweepstakes ends at 11:59:59 AM ET on 12/17/10. Visit www.abramsbooks.com for full official rules. Void where prohibited. Whether you're a knitter, stitcher, or crafty dabbler, we hope you will find something here that gets you in a gift-giving mood. Simply click on any of the images below to download the instructions. Thanks to everyone who participated in the Wee Wonderfuls blog tour and free book giveaway contest! We were overjoyed by your comments and loved reading through each and every one. You may be interested to know that 245 of those who commented by the deadline had a favorite doll when they were growing up, while 118 had a treasured stuffed animal. Whether you were a doll or teddy bear kind of kid, it's heartening to hear how many of you still have (and love) your childhood pals. And though many readers loved their Cabbage Patch Kids and Barbies, there were just as many stories about handmade Raggedy Anns and dollies with yarn hair made by Grandma. Thanks again for sharing--we loved strolling down memory lane with you. Winners of the free book giveaway have been selected and are being notified via email. Good luck! So, did you have a special doll when you were a child? Tell us his or her name (and something about the doll if you like) in the Comments section below. On October 25 at noon EST, we will choose 3 people at random to receive the STC Craft book of his or her choice. Check out the choices here and here. KNITS MEN WANT Blog Tour! 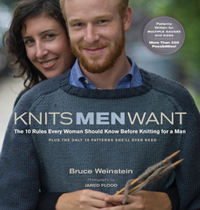 Knits Men Want author Bruce Weinstein has been teaching knitting for over 10 years, and in that time, he's seen his fair share of well-intentioned gifts knitted for men--full of bright colors, crazy cables, itchy yarn, and...what?! Did you really intarsia yourself on his sweater? Sometimes the response our gift gets depends on the man. But, according to Bruce, and considering the tales of Cringe or Crush? he's heard from his students and fans, there are tried-and-true rules we should be aware of before we stay up until 3am on Chirstmas Eve crafting our labor of love. Rules, shmules, I say! Only, why am I now the proud owner of the giant, shawl-wide, extra-bulky scarf I knitted for my main squeeze? I mean, didn't he see that H&M ad with the guy in that enormous cowl-necked sweater? Doesn't he know that sporting the illusion of a shrunken head is très chic? And why did he wear my second, slimmer attempt all winter long? Bruce will answer my burning questions, and yours, during the course of his blog tour this month. Follow the schedule below, and be sure to check out and contribute to our hilarious Cringe or Crush? Sweepstakes! Grand prize is a signed copy of Knits Men Want and this 8'' x 10'' print from the book, by photographer Jared Flood of Brooklyn Tweed! 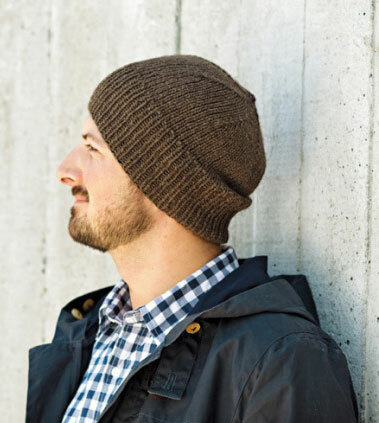 Crafting for a man can be dangerous territory, but author Bruce Weinstein has come to the rescue with his new book Knits Men Want: The 10 Rules Every Woman Should Know Before Knitting for a Man. To mark the occasion, we're hosting Cringe or Crush? The KNITS MEN WANT Sweepstakes. Think about a lucky fella for whom you have made something. Did he cringe and recoil when you presented him with your labor of love? Or did he totally crush on it? If you have a humorous, embarrassing, heartwarming, or tear-jerking tale about crafting for a man, this is your chance to share it! Spin us your best yarn and be entered to win one of four great prizes. To enter, share your Cringe or Crush? story in the Comments section below before noon (EST) on April 30th, 2010. After the deadline, we'll choose four entries at random. All winners will receive a signed copy of Knits Men Want. In addition, the prizes below will be awarded in the same order winners are chosen--it's luck of the draw in this sweepstakes! 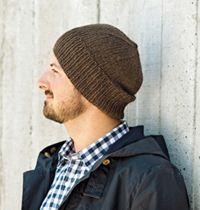 First winner: This print from Knits Men Want by photographer (and Brooklyn Tweed blogger!) Jared Flood. Second winner: Two projects from Knits Men Want, knitted by author Bruce Weinstein: the Watch Cap (in red) and Fingerless Mitts (in olive). 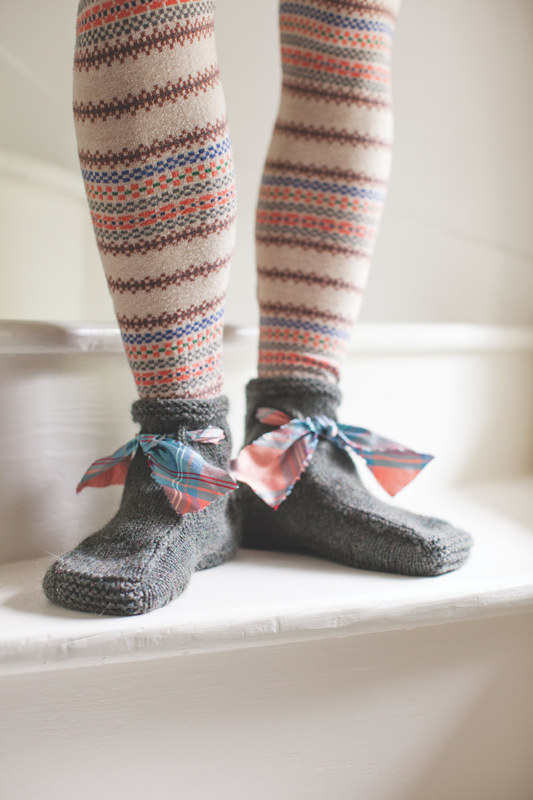 Third winner: The Thick and Warm Socks (in green) from Knits Men Want, also knitted by Bruce. Think hard about your crafting history and be sure to check out these links! Download the Knits Men Want Introduction for inspiration and advice. Join the Knits Men Want Ravelry group to post photos of your crafting hits and misses and swap tips with fellow crafters. Read the Knits Men Want blog for funny commentary and unique insight from author Bruce Weinstein. 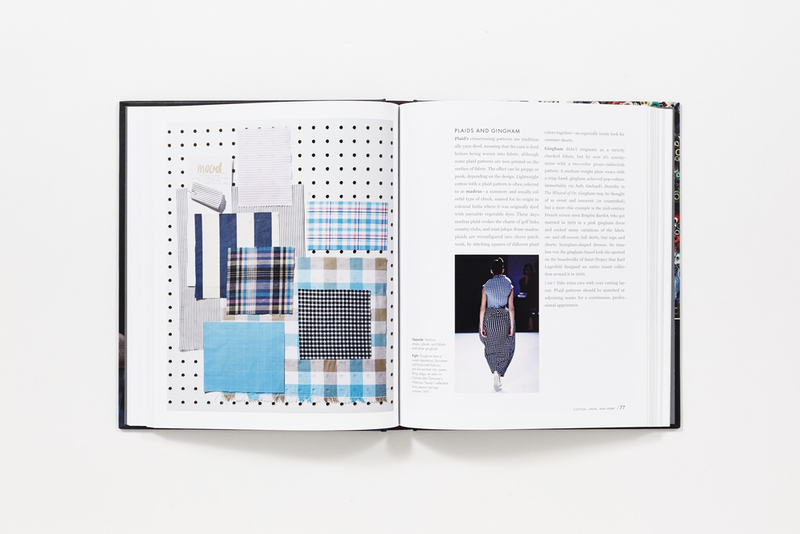 Check out projects from the book in the Knits Men Want gallery. Follow the Knits Men Want blog tour for book reviews, interviews, and special posts from Bruce. Please note all entrants will be added to our e-mail list unless you tell us that you do not want to be added. For a full set of rules, click here. Thanks--and good luck! We began the Alabama Studio Style blog tour with the launch of the Alabama Studio Style Inspiration Challenge over at BurdaStyle. We conclude with Natalie Chanin's interview with the grand-prize winner of the contest, Gina Sekelsky. This is a simple A-line skirt, cut on the bias, from two layers of cotton knit: a putty color over black. I freehand painted a favorite quotation on the skirt, then used the techniques in Alabama Stitch Book for the reverse applique. I love to combine my handlettering with garment design—an experiment in embracing imperfection (especially when I sneezed on the skirt moments before taking the photos. Did you hear me screaming?). Natalie: Gina, I love how seamlessly you incorporated your work with words and font styles into the piece that reflects our work at Alabama Chanin. While the techniques are (in a way) simple, the final piece is very rich and complex. I also enjoyed the story on your blog about how you ran out of thread and switched colors and then decided to switch back again. What were you thinking about when you started the project? 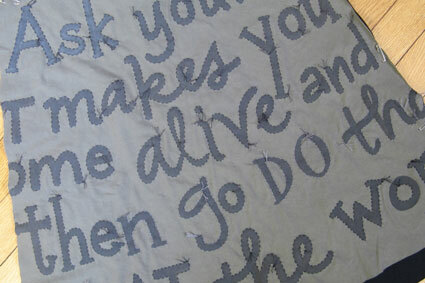 Gina: Last fall I spent a Saturday with a very dear friend cutting out some sewing projects to work on in the future. We both love sewing, and like to have a stockpile of projects ready to roll. I guess that’s our version of a quilting bee–pinning, cutting, asking advice of each other. I’d been wanting to combine my lettering with your reverse appliqué techniques for awhile, and was planning to try it on one of the skirts I cut out that day, but felt compelled to wait until the “right” words came along. I spend a little too much time dwelling on why I’ve been given my specific set of gifts, and how I can use those gifts thoughtfully. Dr. Thurman’s idea that being passionate, being alive is the best way to honor life really speaks to me. I also think about how much time I have to create (aren’t we all pressed for time? ), and I really want the things I make to be worthy of the time given to them. Natalie: I, too, am a great lover of fonts and words. When did you start paying attention to them? Gina: I like to credit Mrs. Larson, my 5th-grade teacher. I was a bit of a chatterbox in elementary school, and the punishment for talking out of turn was to write out our spelling words fifty times each. I probably had that punishment just about every week! I got bored with just writing the words as a list, so I used to draw outlines on the page and fill them in with the words–flowers, peace signs, typical 70s motifs. I grew up in a small town in the Midwest and thought I had to choose a career with a name–teacher, doctor, lawyer. When I moved to Minneapolis after college, I met my husband, Peter (an architect), and he introduced me to the design disciplines. I spent some time studying architecture and interior design, but couldn’t find my groove. When we decided to get married, I hand-lettered our wedding invitation. Since then, I’ve put my hand lettering on just about anything that will stand still: walls, furniture, and a whole lot of paper [visit Gina's etsy shop here]. I am constantly inspired by other artists, and am so thankful that I can continue to generate ideas and create my art. Natalie: My daughter LOVES rubberstamps and I would love to make some of her drawings into stamps. Do you have any suggestions about how to do this? Gina: Technology makes this so easy! Black and white artwork translates the best, so you’re better off choosing art that doesn’t have shading or gray areas. I use a wonderful company in nearby Iowa for my traditional red rubber stamps called Rubberstamps.net. It is simply a matter of choosing from the many sizes available, scanning your artwork, and uploading it to their site. I would be happy to help you! Natalie: I really like your blog and especially adore this project: 42 Things About Me. I wish that I had done something like this my whole life. I feel like I know you through your writings but would you mind sharing 10 things that you think we should know about you that don’t come across in your blog? 1. I can’t answer a question without dishing up an anecdote on the side. 3. I am a morning person. 4. I am thankful for every day I get to do this work I love. 5. I hope I can keep doing it for a lot longer. 7. I like ordinary days the best, when we’re holding hands around the dinner table and saying grace together. 8. I feel content when my cupboards are full and the laundry is put away. 9. Tomorrow I will think of ten different things I wish I’d written. Natalie: Is there something in particular that you would like to work on at our Weekend Workshop? Gina: Have you heard of the book Style Statement? It is a series of questions to help give your life some focus. On the Fashion page, you’re asked to complete the following statement: “If money were no object I would go out today and shop for…” I remember quite clearly that I wrote “Alabama Chanin fall coat.” (Perhaps #11 above should be, “My eyes are bigger than my stomach.”) Should I choose something small that would allow me to relax and enjoy others’ company? Should I start a big project I can finish later? Should I let someone else choose? Do you have any favorites that were made at a Weekend Workshop? Natalie: Everyone’s eyes are always bigger than their stomachs at our studio…the pitfall of the job– smile. No worries, we will figure it out when you get there! Is there anything new coming up that we should know about? Gina:I love sharing what I’ve learned. I’ve taught handwriting locally, and have been working on a class for all the friends I’ve made online–actually two classes, one for those who want to improve their handwriting and one for those who want to embellish their handwriting. Natalie: Thanks for sharing Gina. I'm looking forward to meeting you in Alabama!